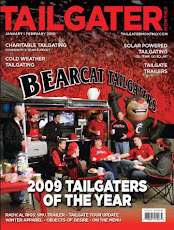 BearcatTailgater.com: Like The Team, Lots of Changes for 2017! Like The Team, Lots of Changes for 2017! Hope you have all been enjoying the excitement that Coach Fickell and his staff have brought to the program in the off season. 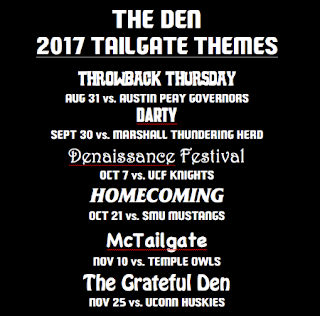 Lots of new announcements for our tailgate this year as well. Change is good, right?!? 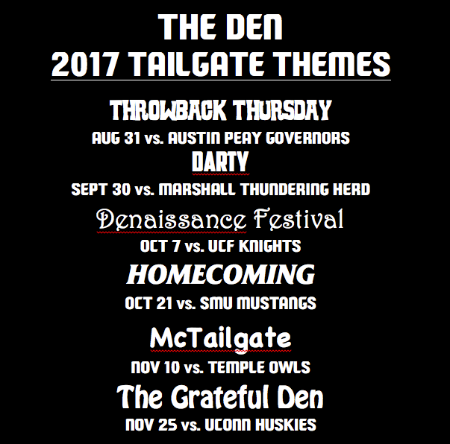 Our crew is joining forces with The Den, and we are returning to The Gridiron Tailgate for the season. A different theme each week! We are in space #5 on the eastern side of The Grid. 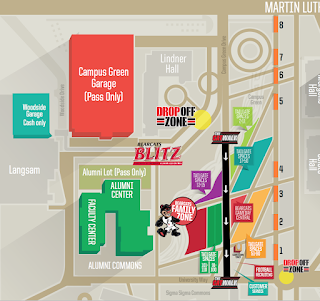 Click the image below for the full size map.